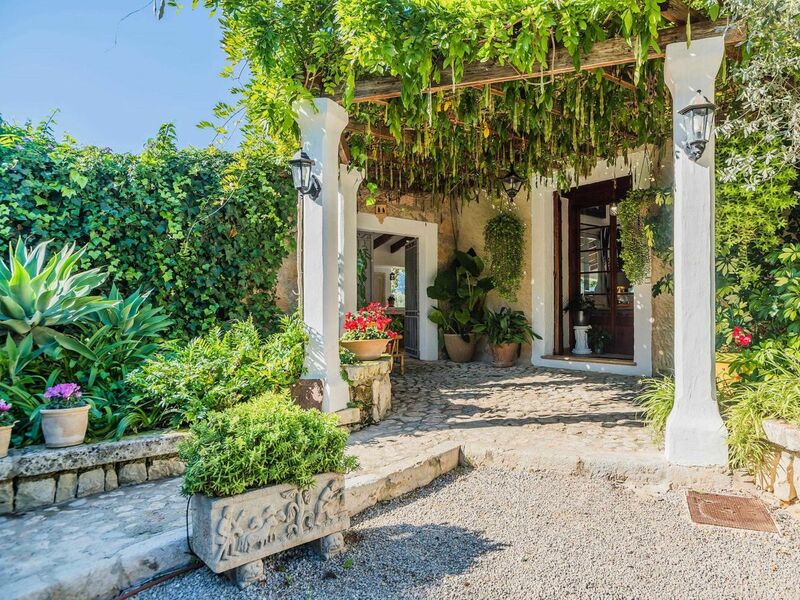 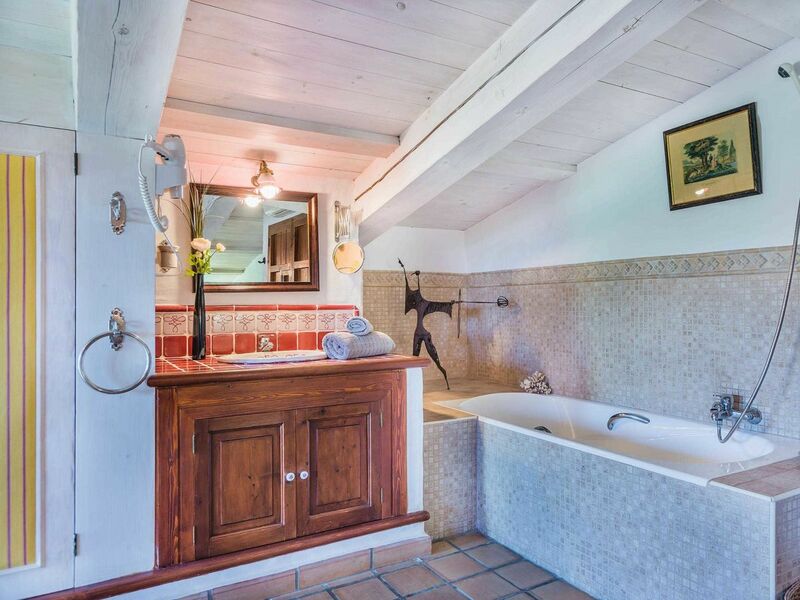 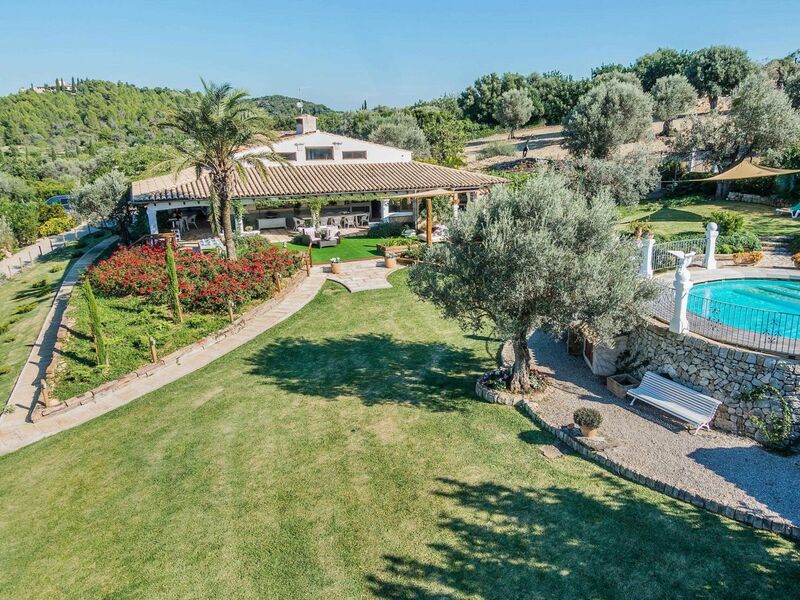 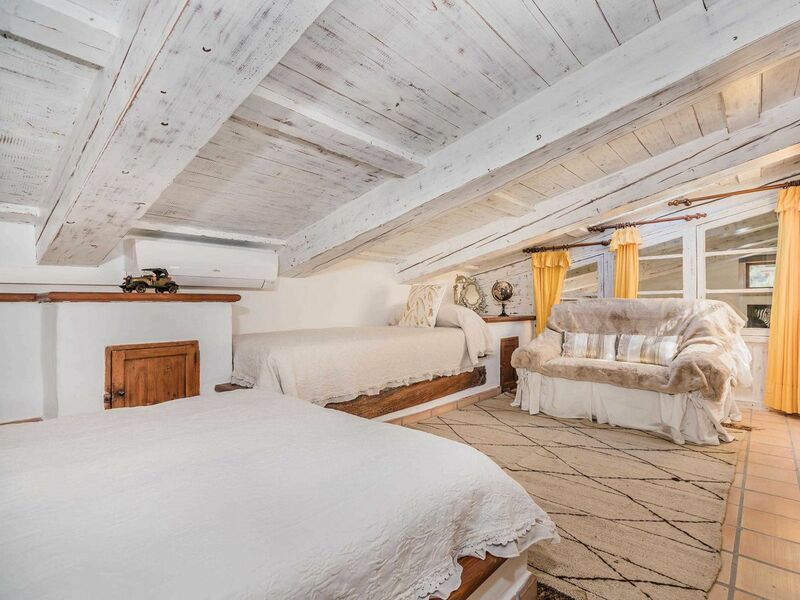 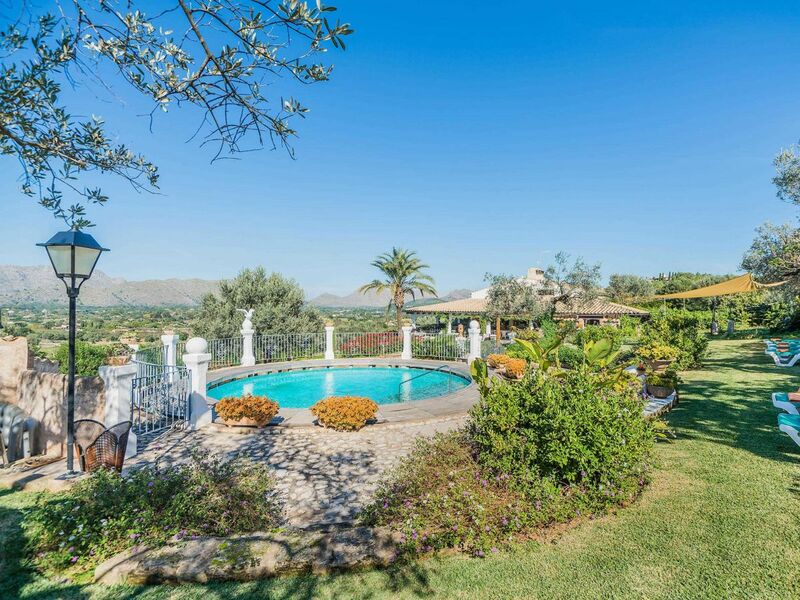 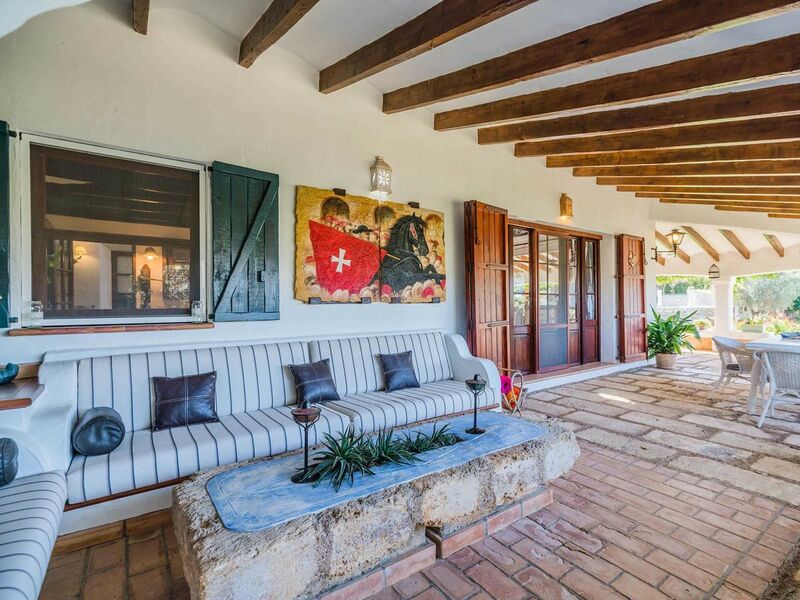 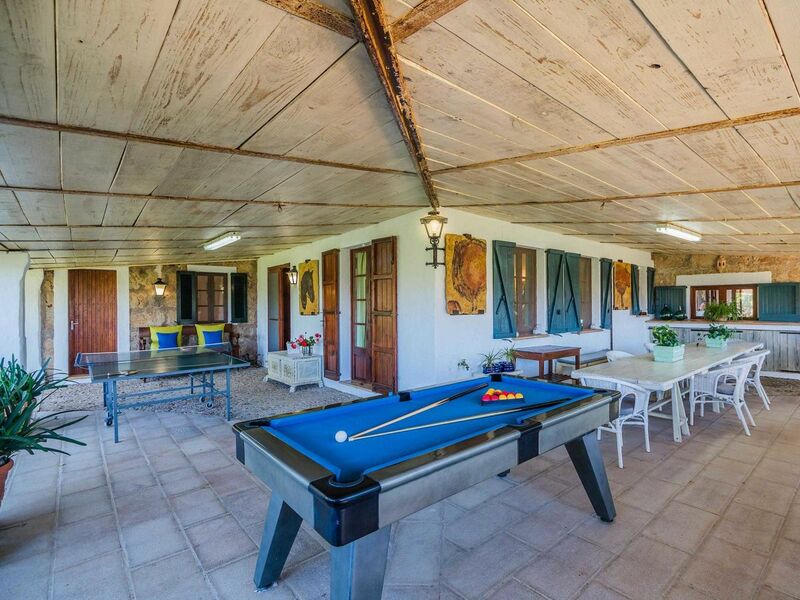 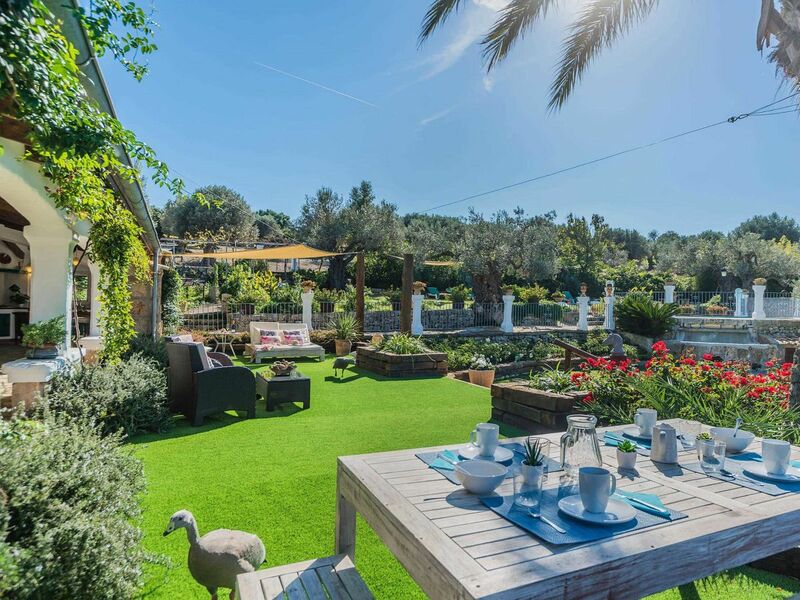 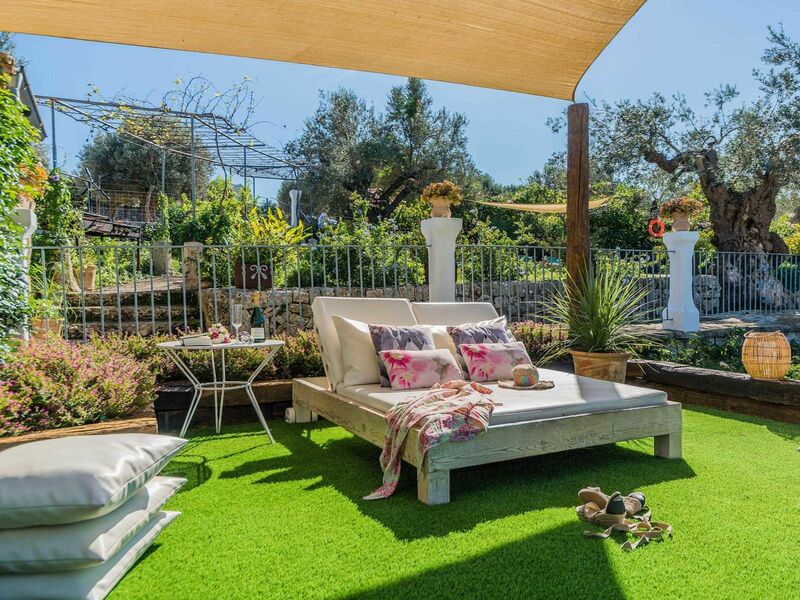 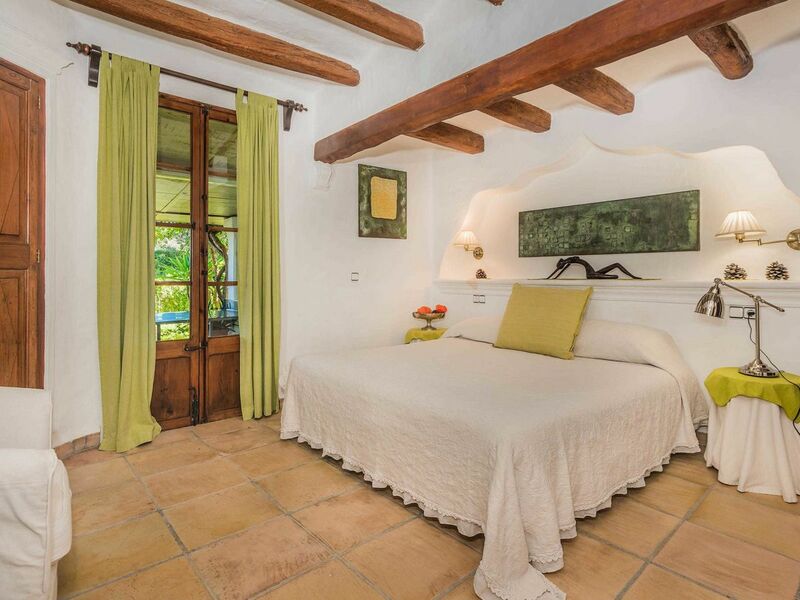 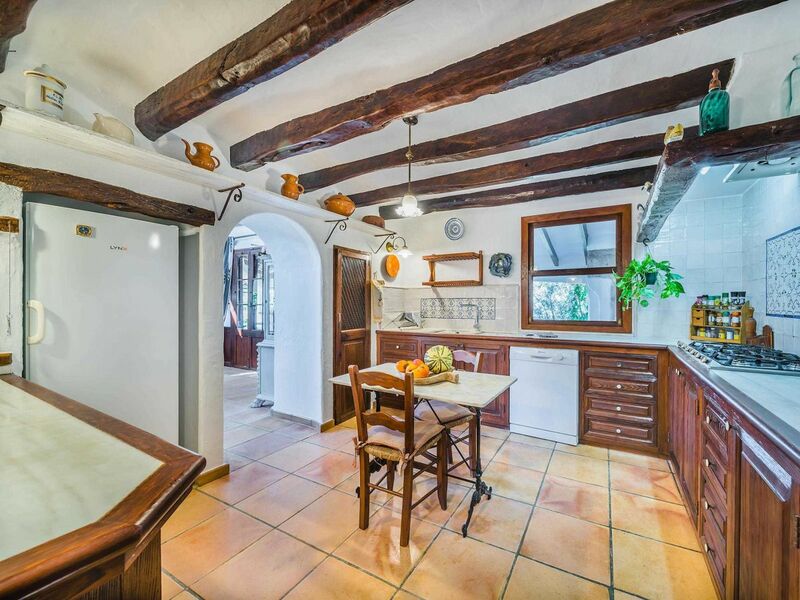 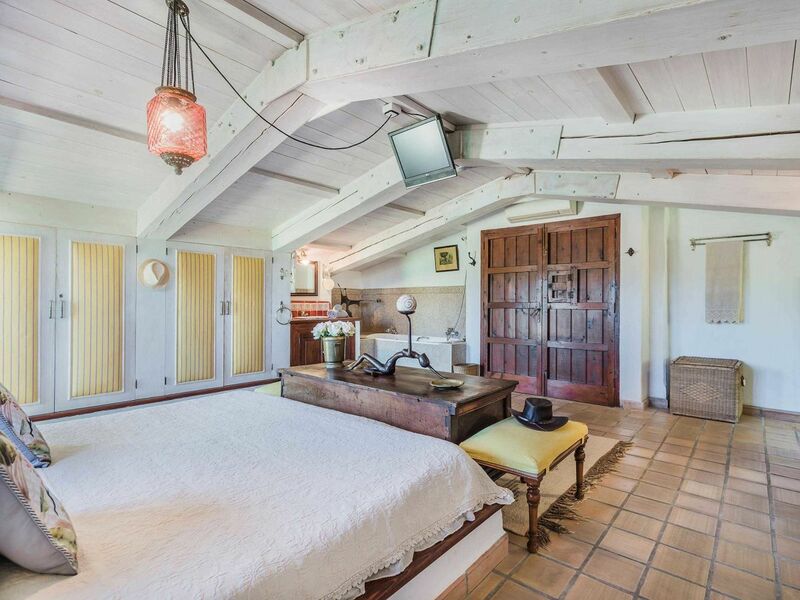 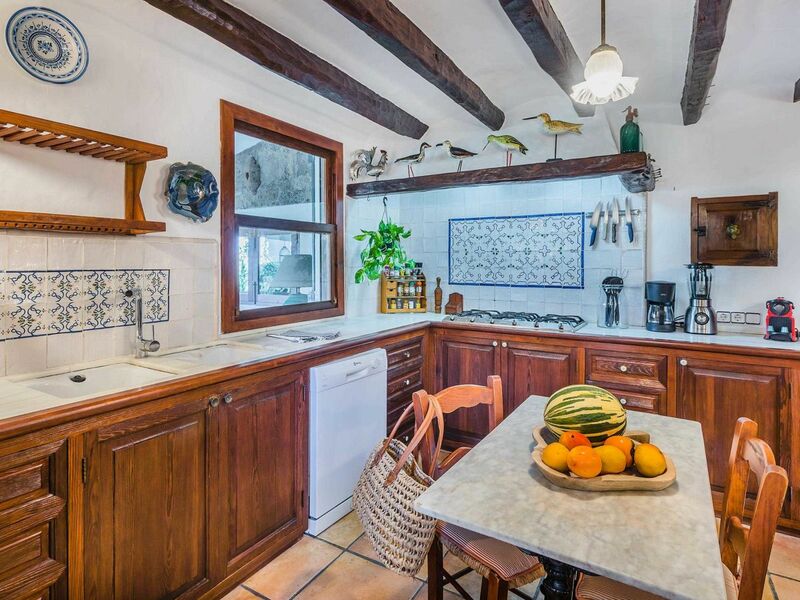 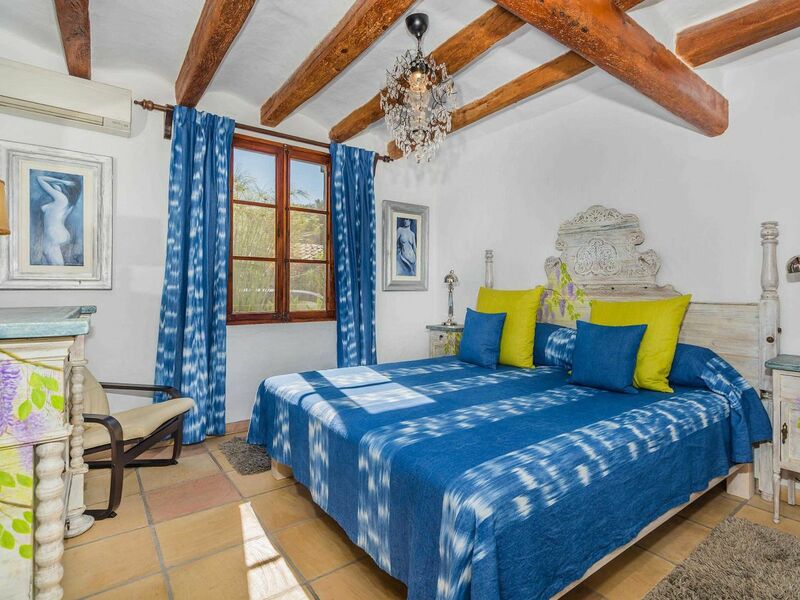 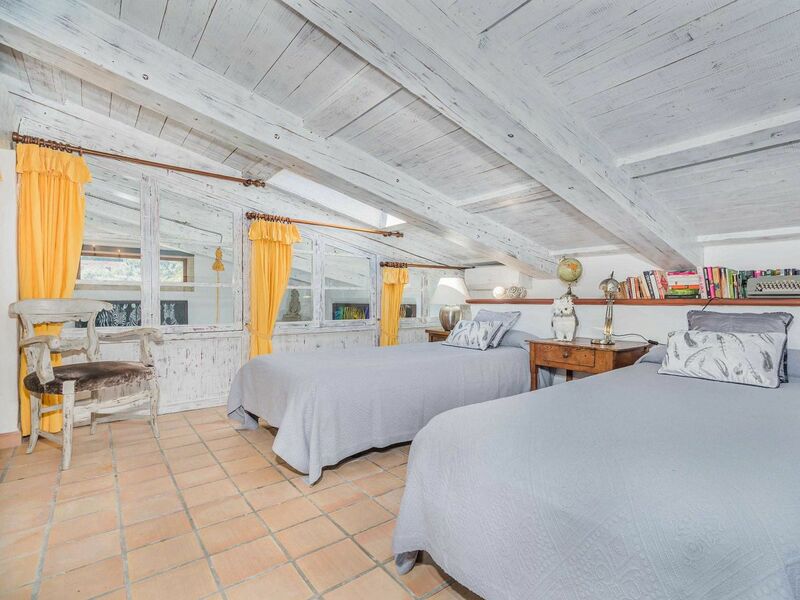 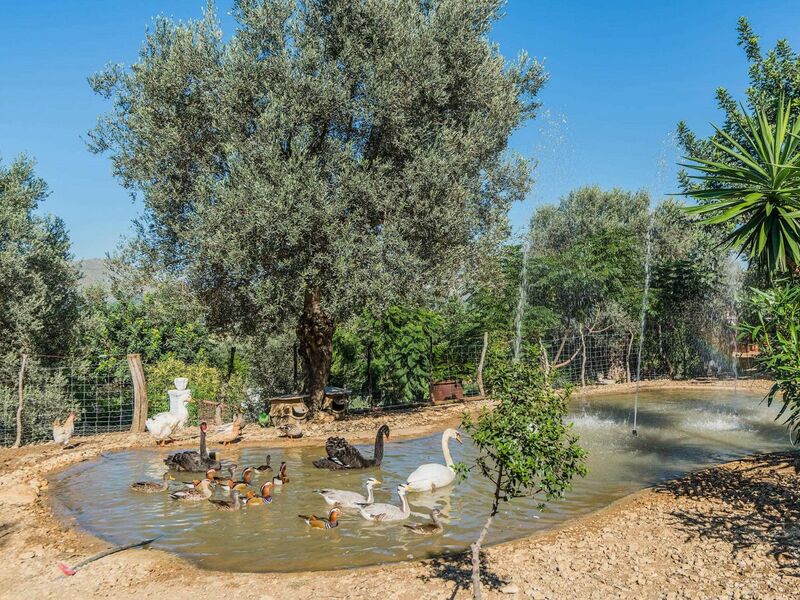 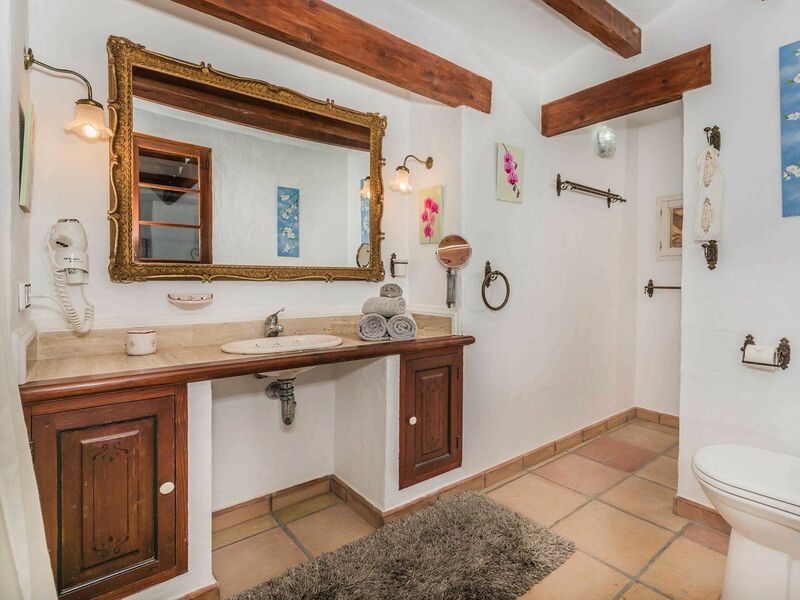 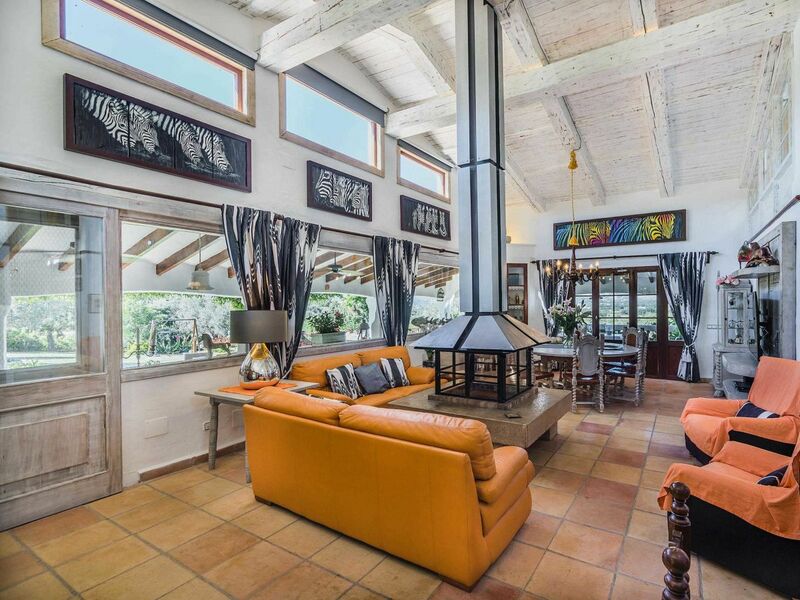 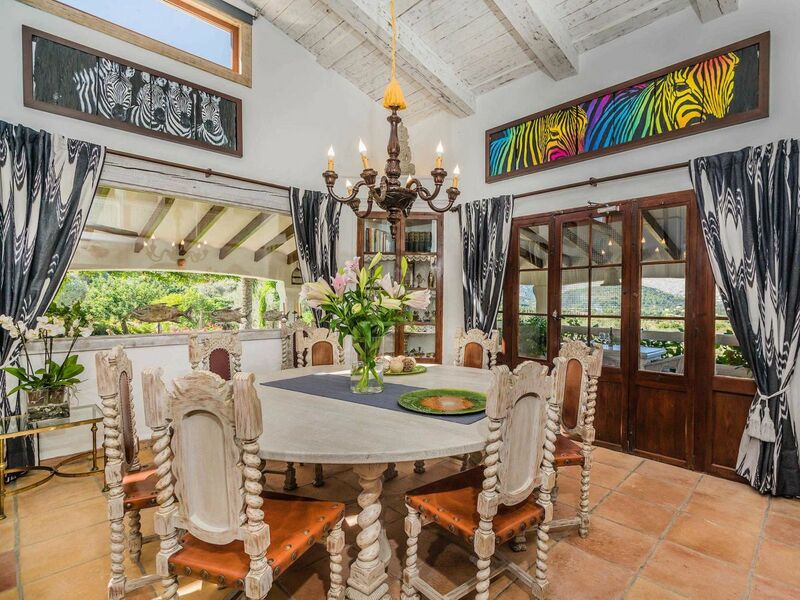 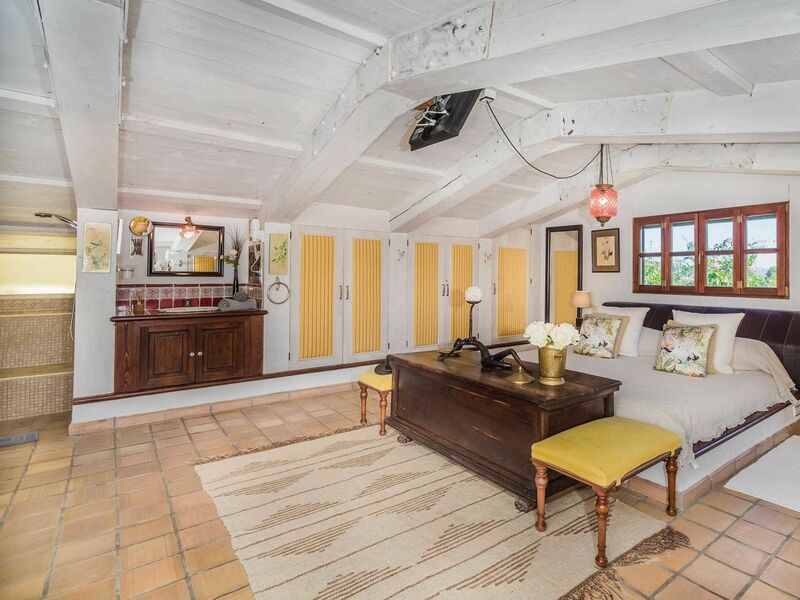 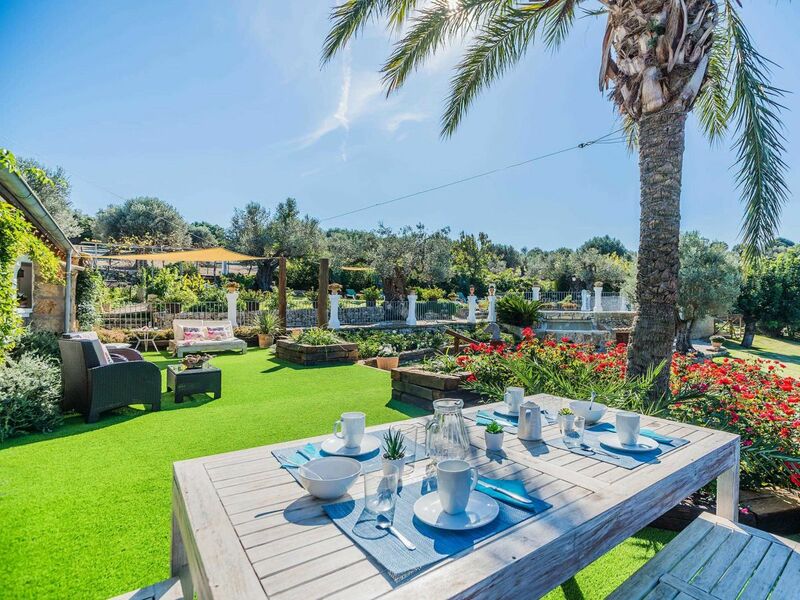 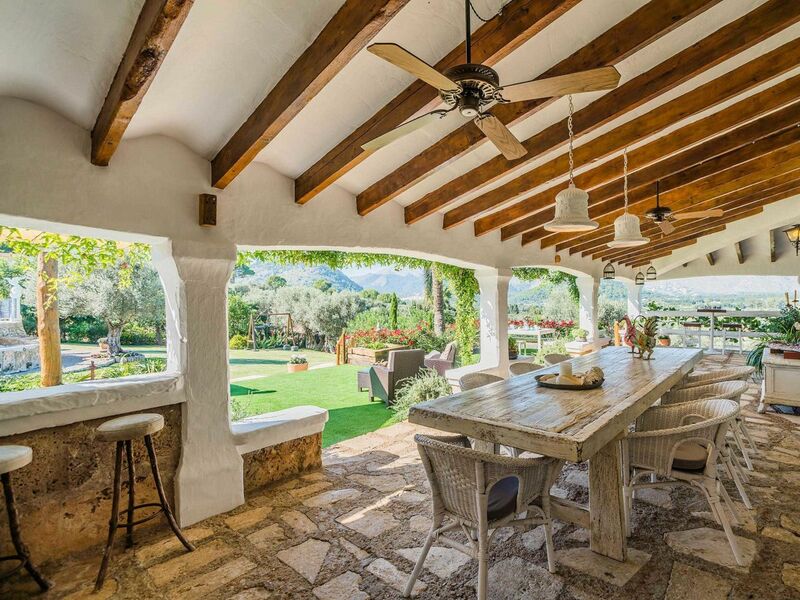 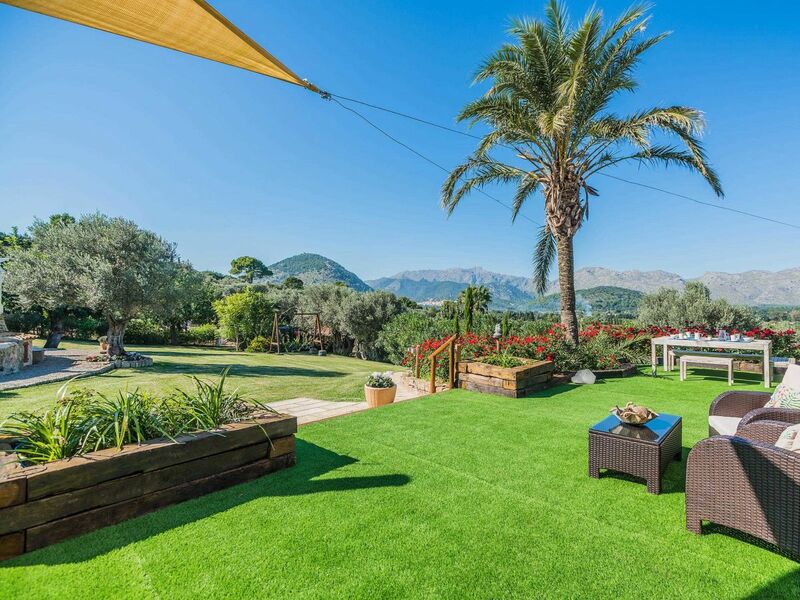 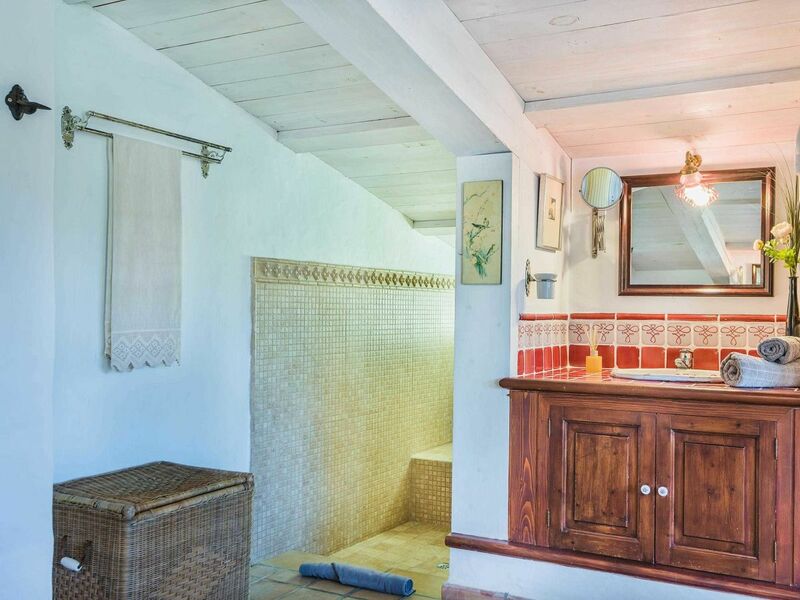 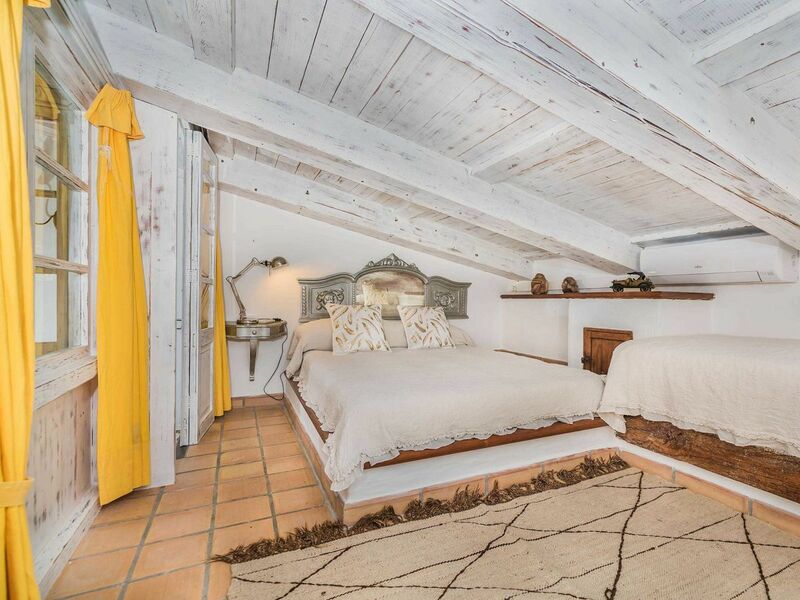 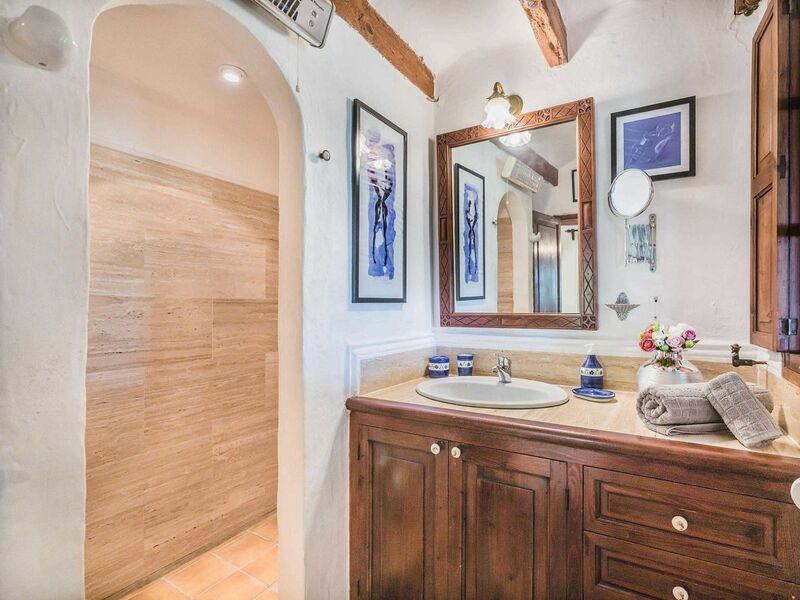 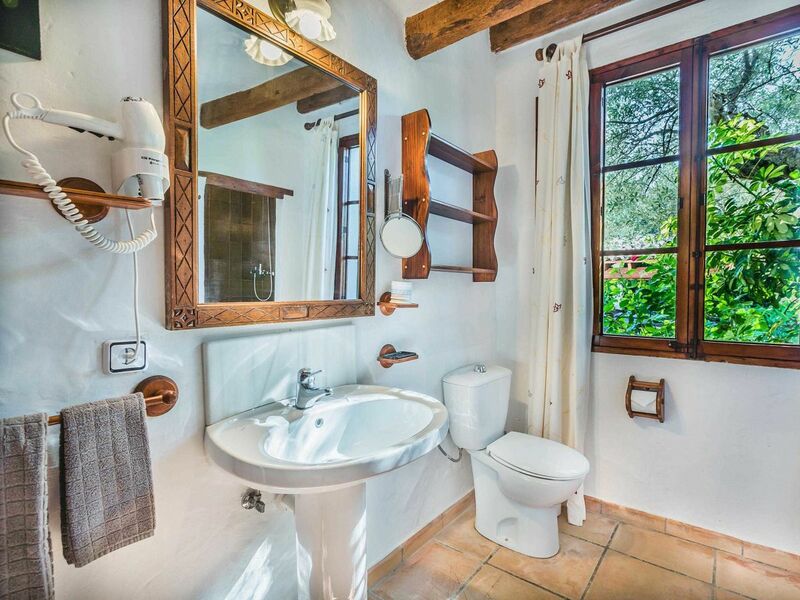 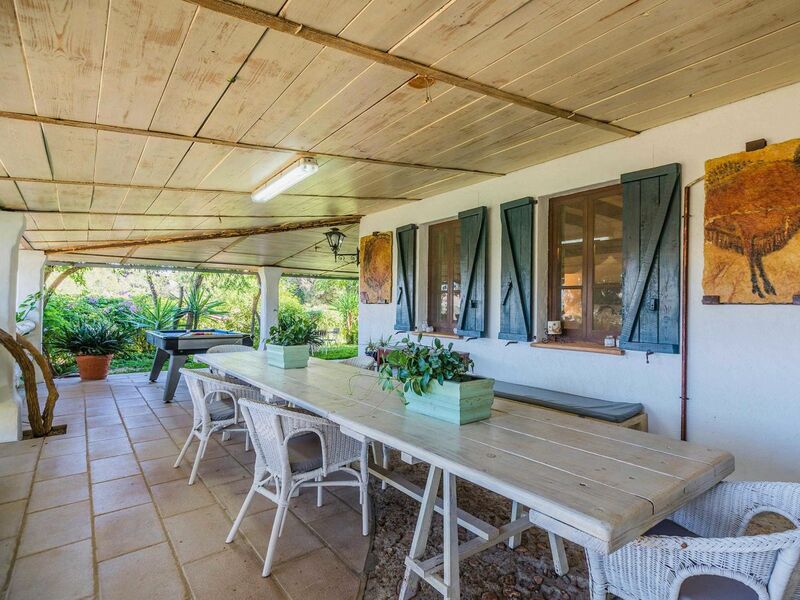 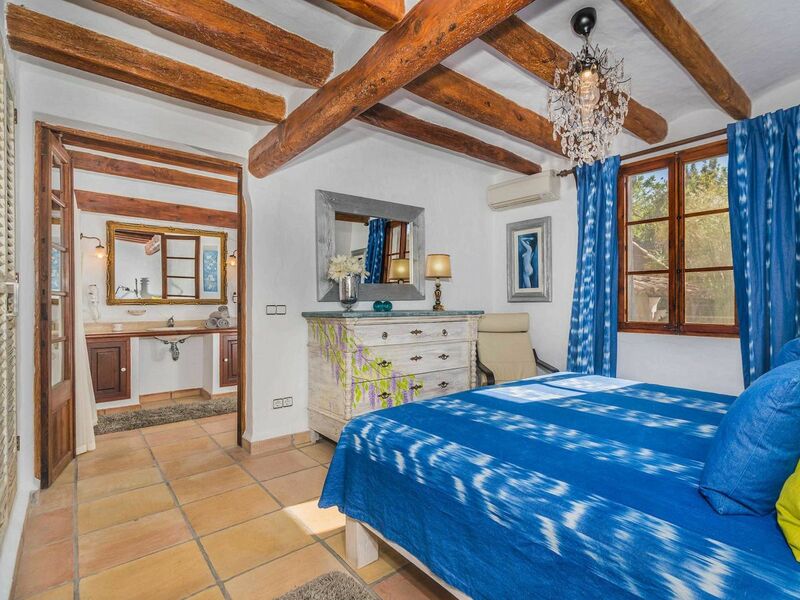 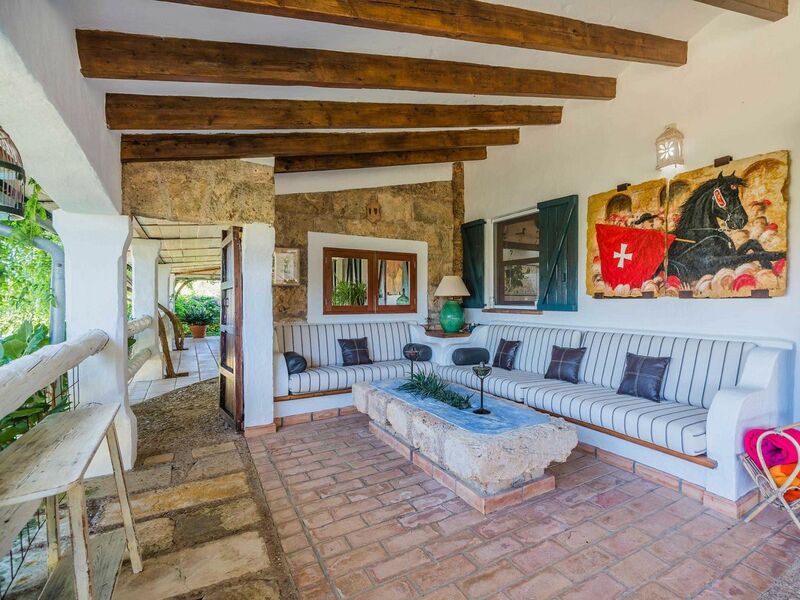 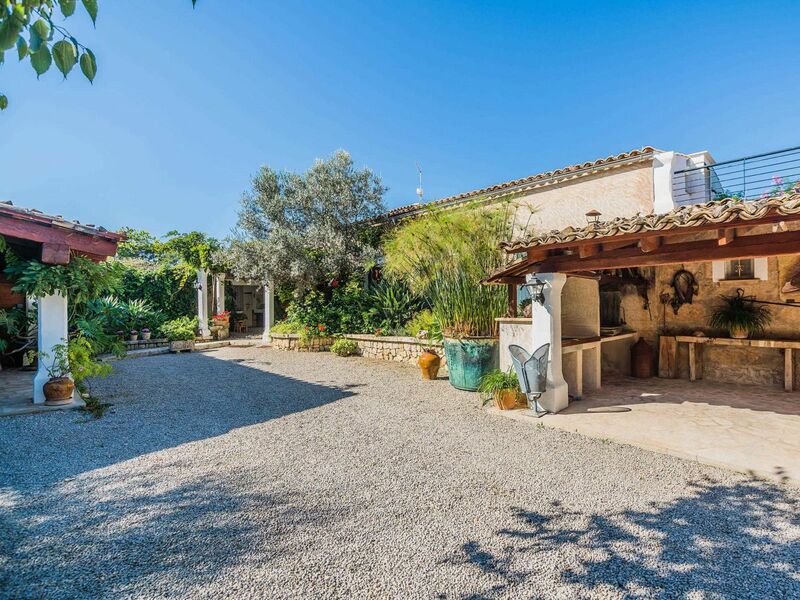 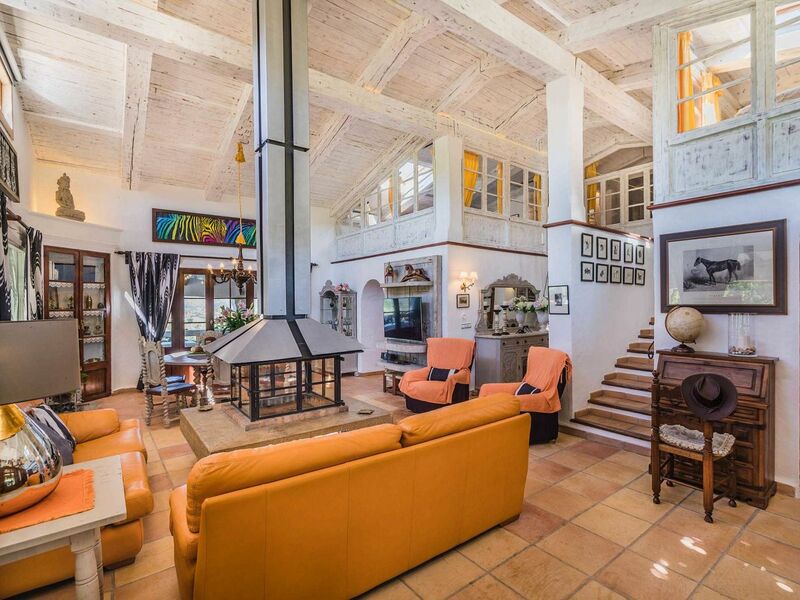 The colorfully decorated Finca Sa Rota in Pollenca was built in 2005 in a rustic style and offers plenty of space for 12 people. 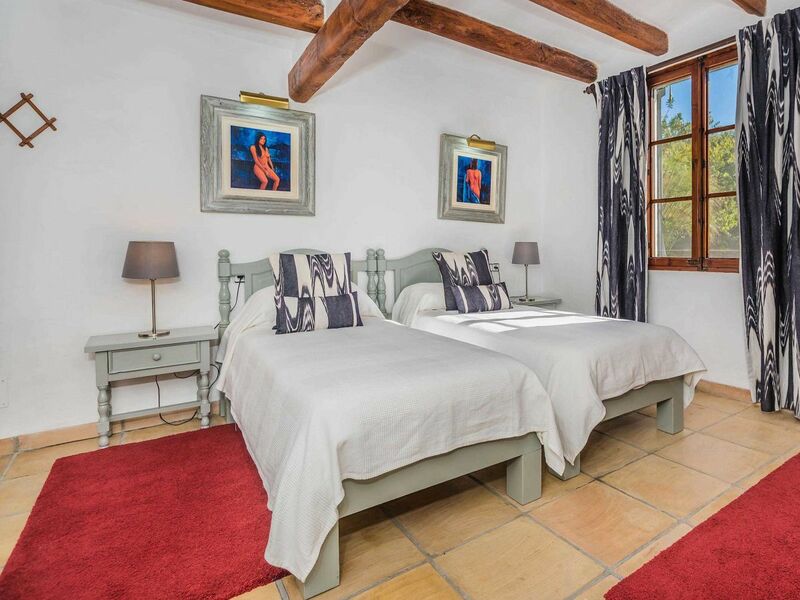 On 2 floors offers 6 bedrooms, 6 en suite bathrooms and a well equipped kitchen. 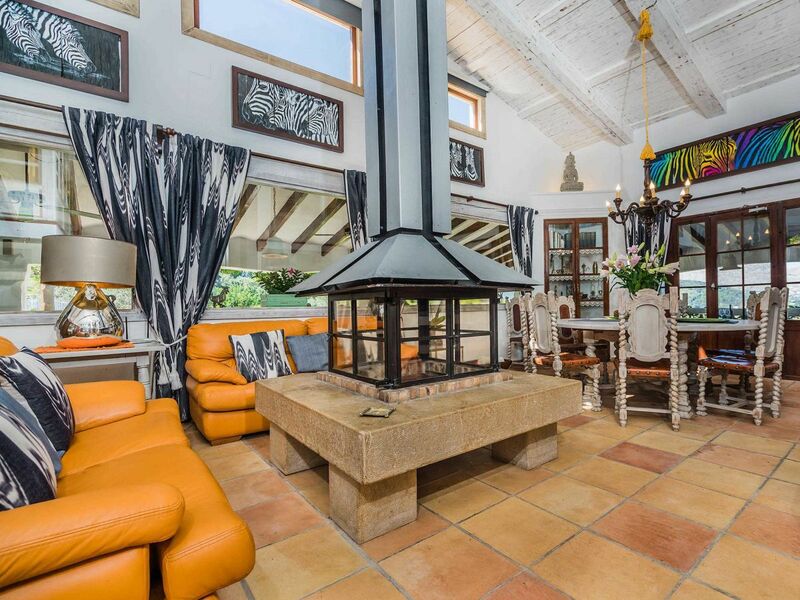 In the spacious living room has a sofa, a fireplace and an adjacent dining table. 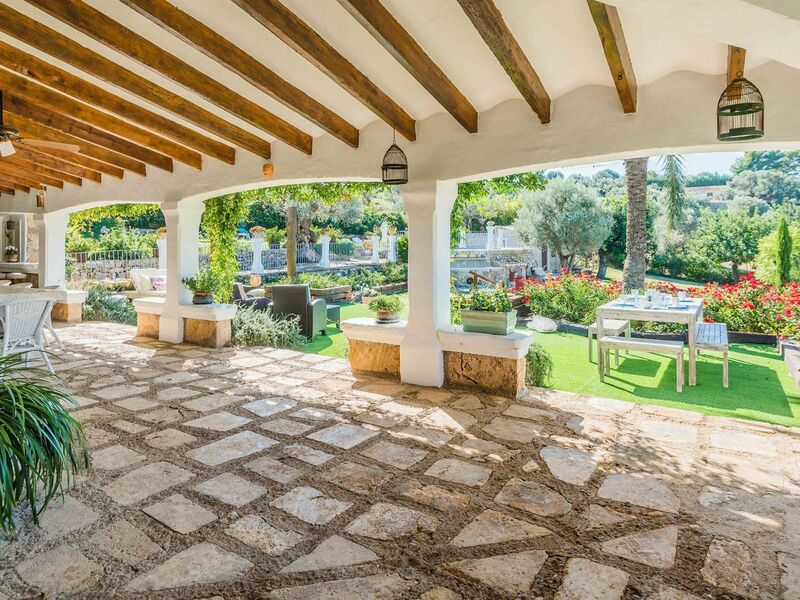 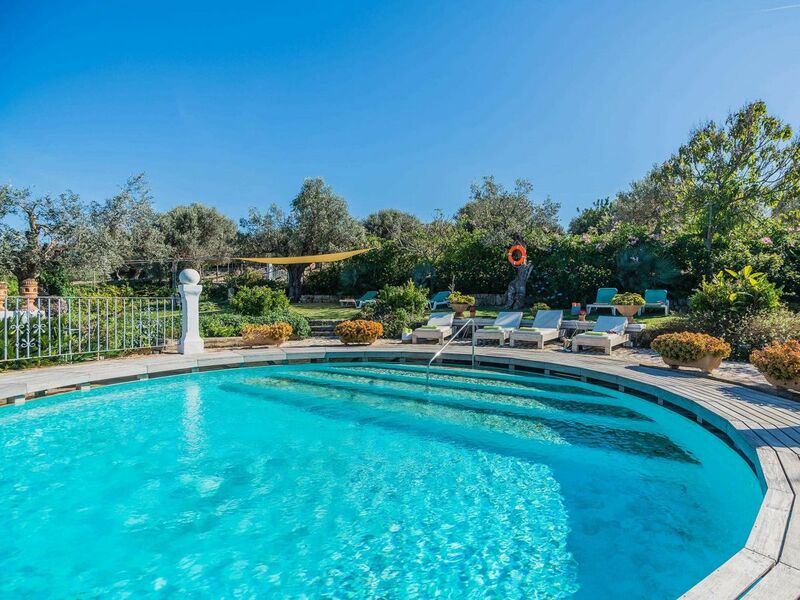 The wonderful large garden with swimming pool offers plenty of space for relaxing under the palm trees. 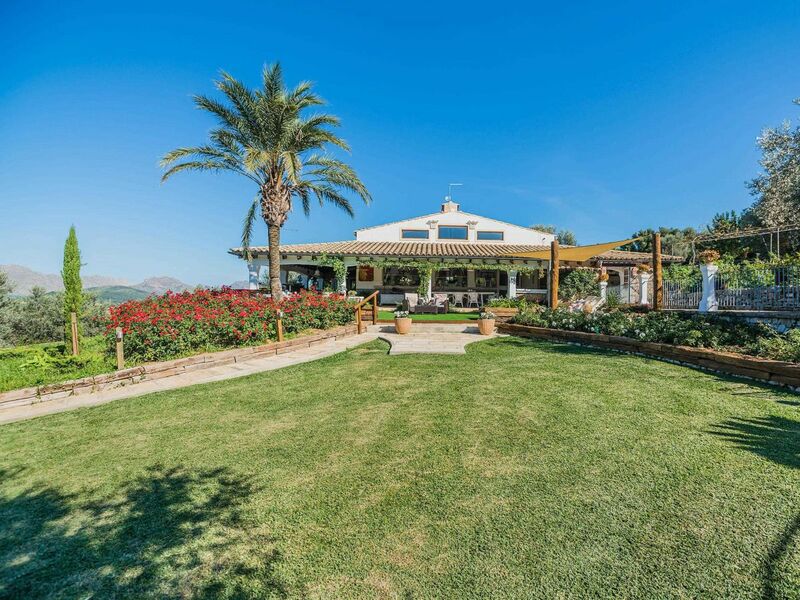 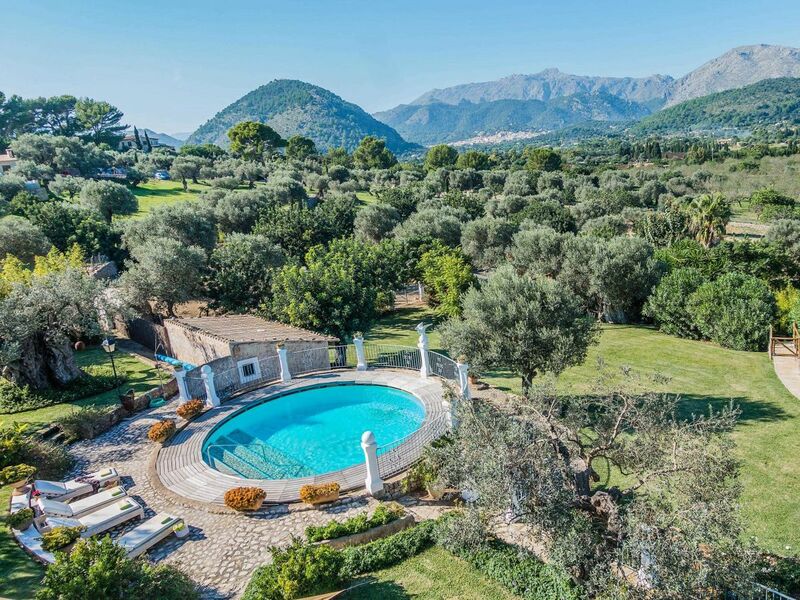 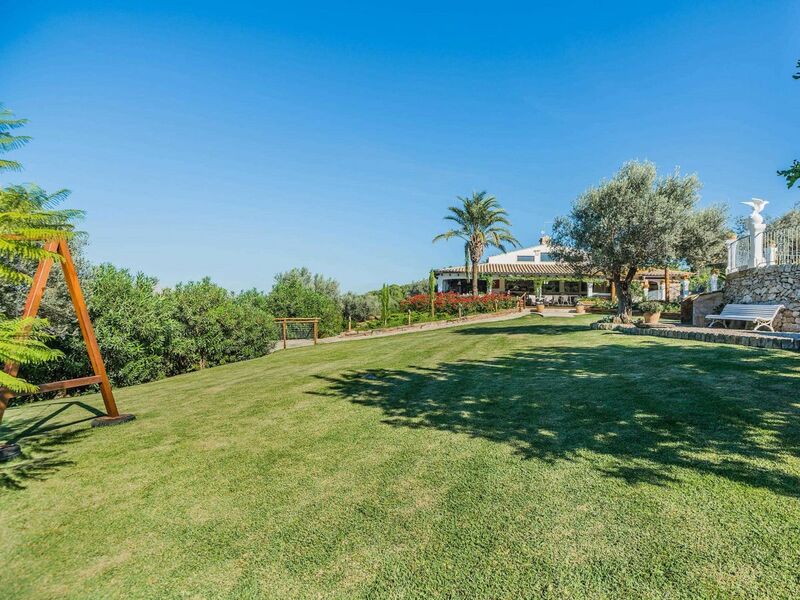 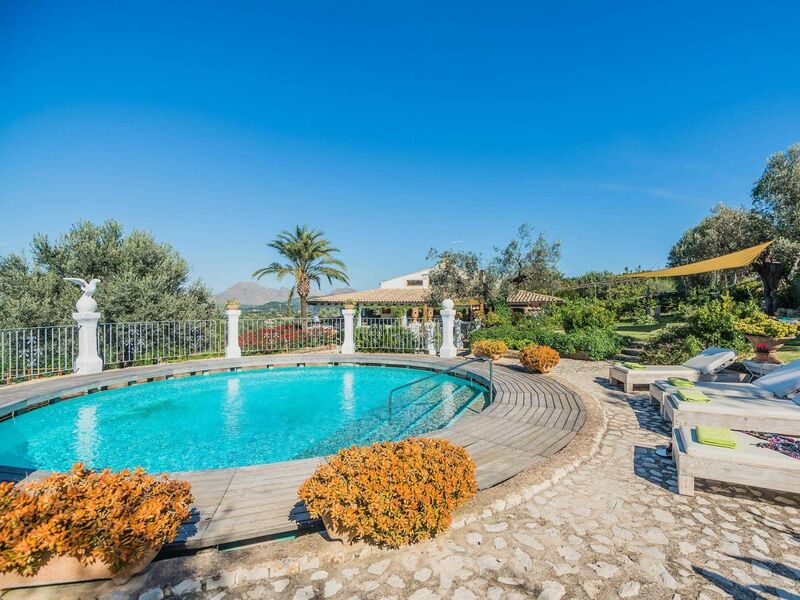 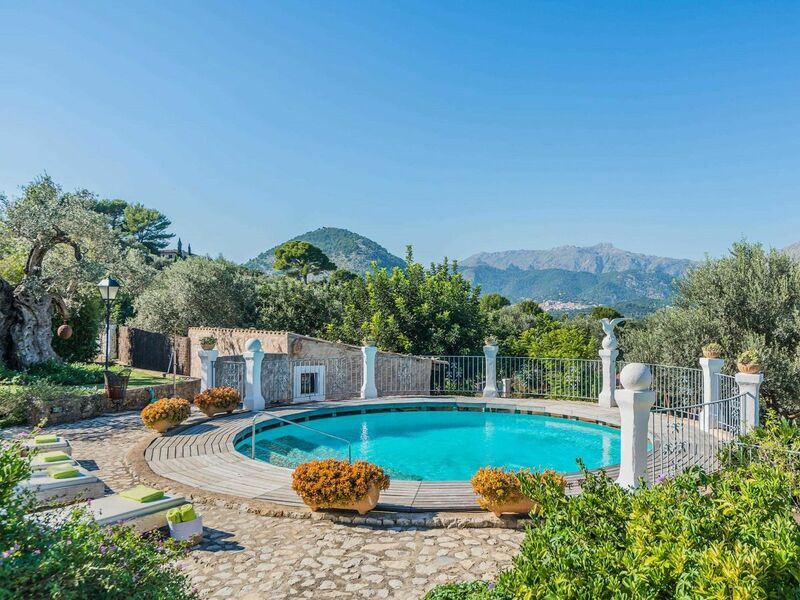 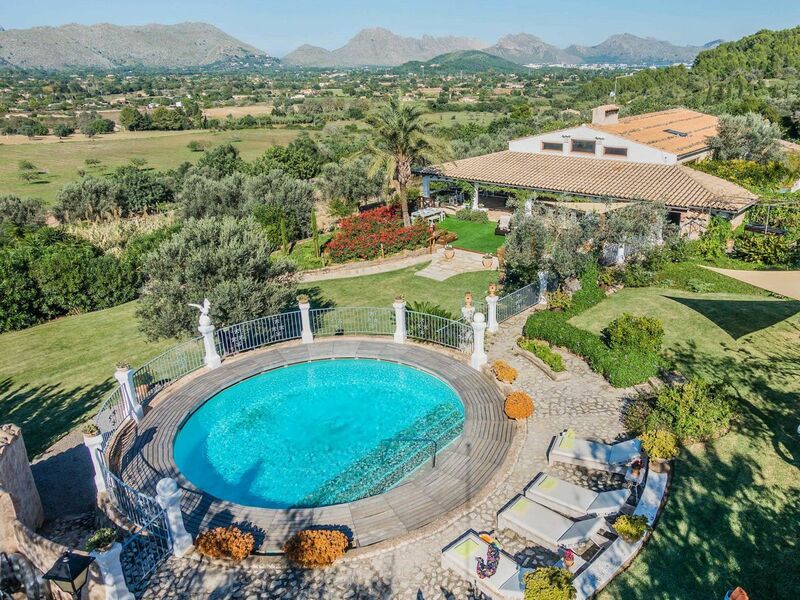 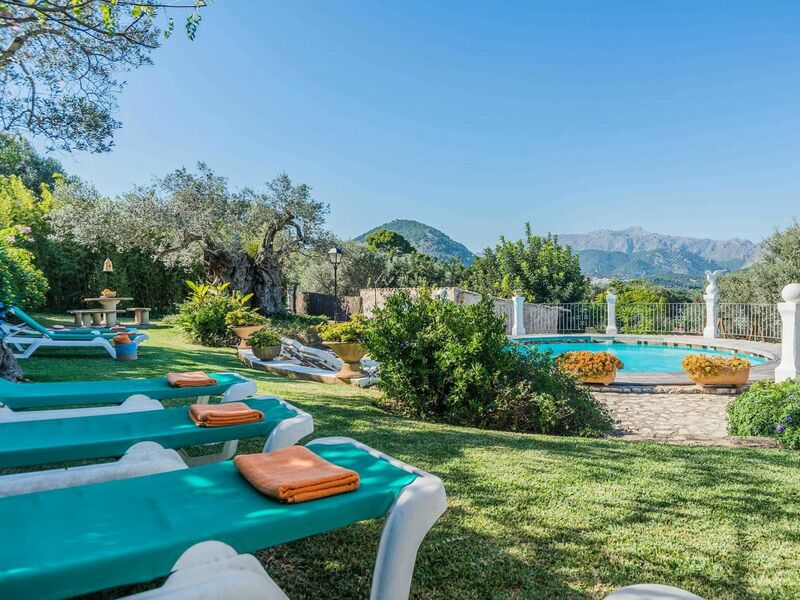 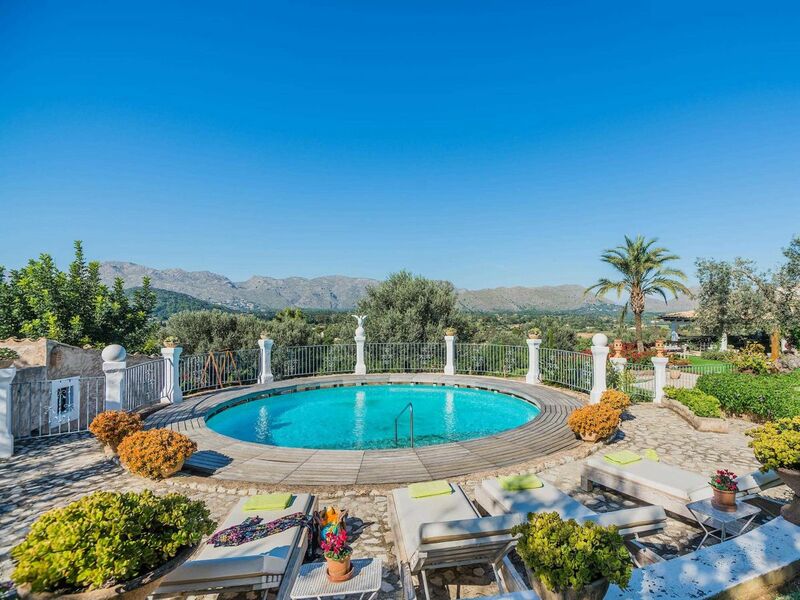 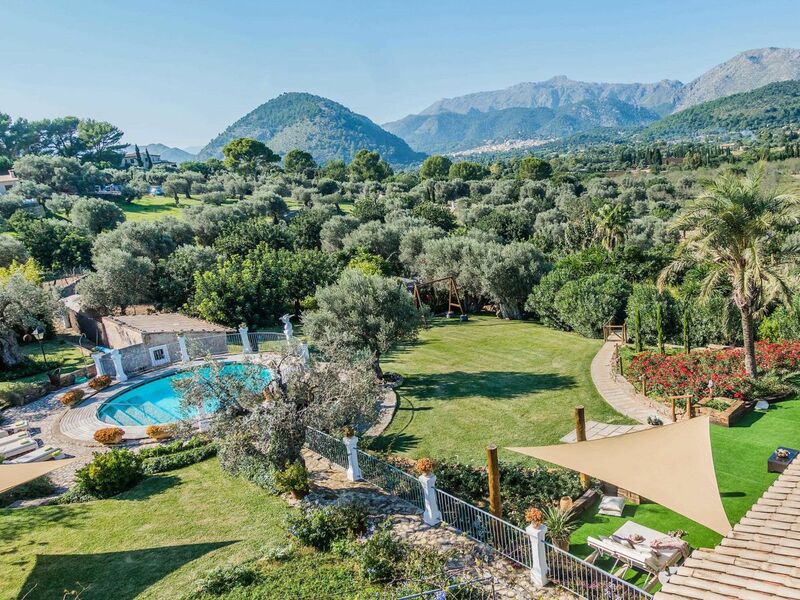 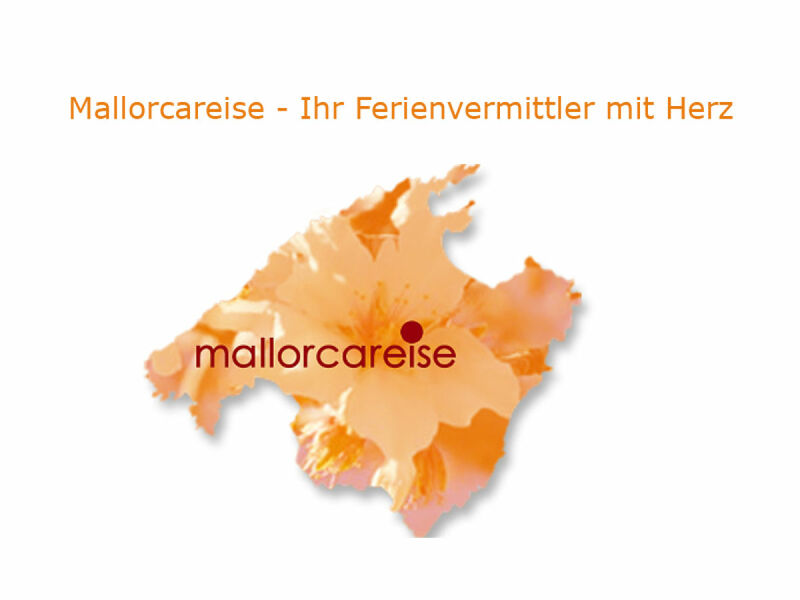 The Finca Sa Rota in Pollenca is located in Port de Pollenca. 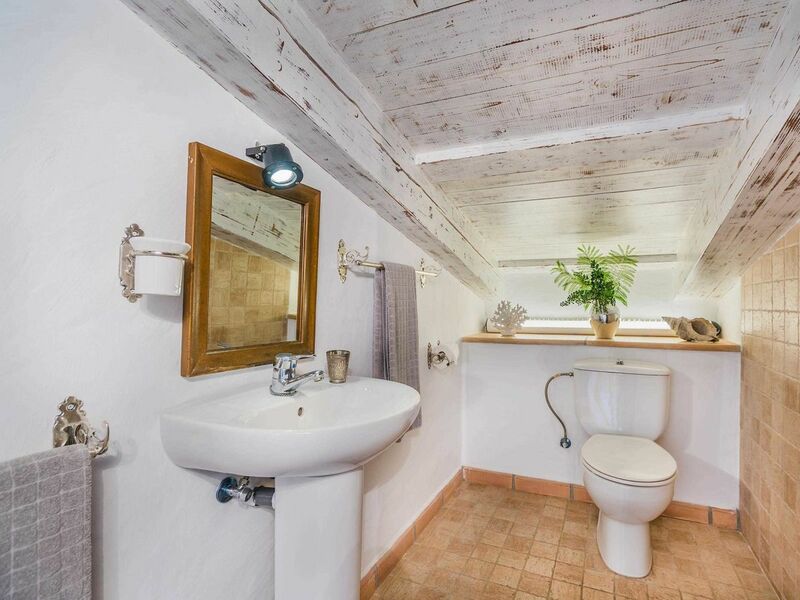 The beach is just 4 km away. 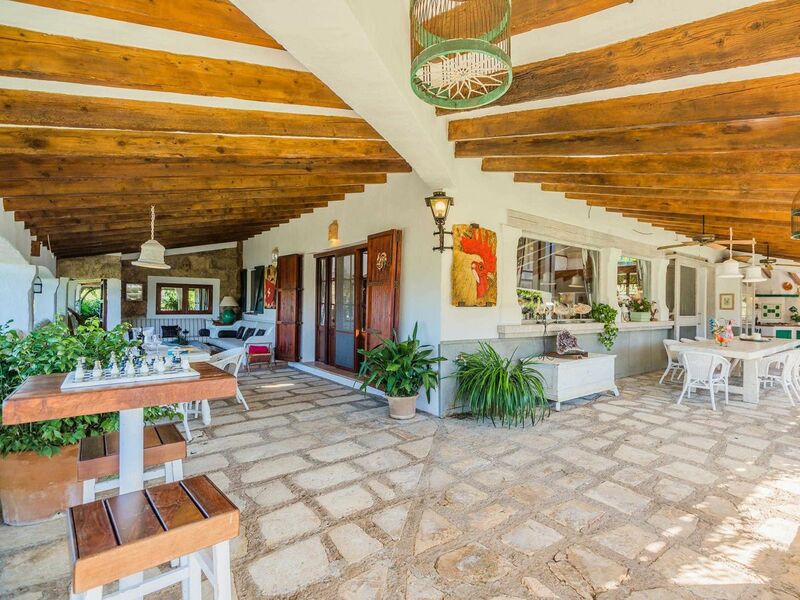 Numerous shops, bars and restaurants are also located within 3-4 km.